This is my official Ponysona. I drew him one day, using Twilight as a reference picture. I found this incredibly easy, even for such a bad drawer like myself, lol. The worst part were the legs, but now that I have practiced drawing Pony legs, it gets easier for me to make those legs, lol. My ponysona's personality reflects me some, but not as much as my main persona, Balto_Husky. Unlike, Balto_Husky, DJ Sirwolfblade is not a wolf that can transform from feral to anthro at will. 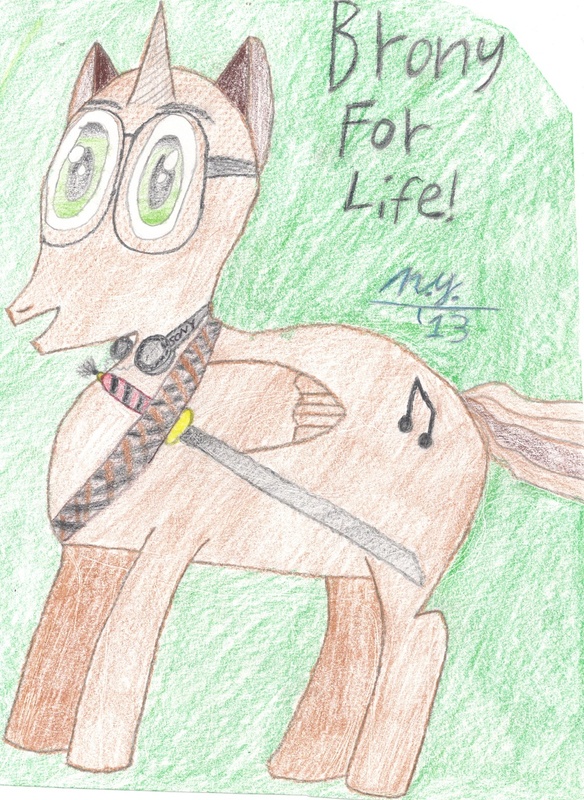 Wolfblade enjoys his days in Ponyville as a DJ at night and a swordsman by morning. He uses his sword skills for the greater good of the people, and he uses his ability to DJ as a way to relax and have fun. DJ Sirwolfblade used to only be known as Wolf Blade, but he acquired the full title of DJ SirWolfBlade while making his yearly tour of Equestria throughout the years. In some regions of Equestria, he is known as Wolf, as other regions call him Sir Blade. Other people will persist to call him Jack, John, Or Jimmy because of his swordsmanship skills (yes, that was a Samurai Jack reference, lol. John and Jimmy are variations on the name Jack).